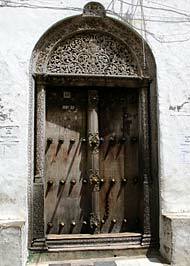 In Stone Town, Zanzibar, there were 806 wooden doors dating from the era of Sultan Barghash (1870-1880). 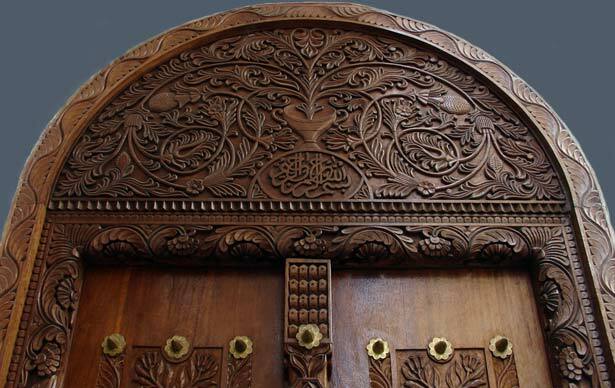 Designs emanate from Arabic and Indian influences. 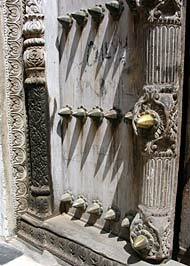 The rectangular Arab door is encased in an intricately carved frame with the outermost strip of the frame carved into chains symbolic of the enslavement of evil spirits trying to enter the residence.